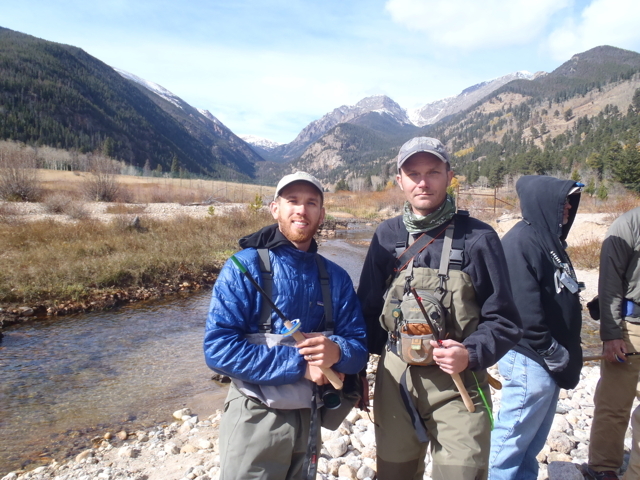 I have the wonderful opportunity to interview Jason Klass for Tenkara-Fisher! I’ve seen Jason’s contribution to Tenkara through his web sites and his video and I might add that Jason has many followers. He is prolific in his writing and his web site is easy to navigate and well thought out. His videos about Tenkara are too. And besides, he has interviewed Masami Tenkarano-oni Sakakibara. I think it is interesting that Jason comes to Tenkara from a fly-fishing guide background. So without further delay, here is our interview. Adam: Jason, let me begin by saying “thank you” for sitting for the interview. 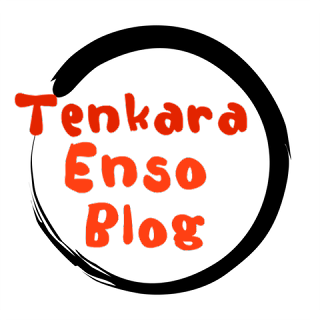 I think that you are contributing to Tenkara through your web site and your followers there. In order to get a little bit better picture of who you are for the interview, I read the “About Me” on your web site and I will say that I am impressed with your background. You are an accomplished fly fisher; a guide and you are experienced at salt-water fly-fishing. A tip of the hat to you and I have some similar experiences. I believe we all have something to contribute to Tenkara. As Americans, we come to it a little bit differently even though our introduction to it is nearly the same. Can you tell us about yourself and why Tenkara is attractive to you? Jason Klass: Thanks Adam. I have a background in ultra light backpacking and that’s how I first heard of Tenkara. 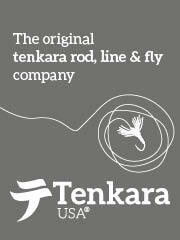 I was searching the Internet for ultra light fly-fishing gear and came across Tenkara USA. It seemed perfect for backpacking so I tried it and immediately saw the benefit. My entire fly fishing rig for backpacking dropped from something like a pound to about 5 ounces. In UL backpacking, every ounce counts so that was a dramatic improvement in my base weight. At first, I thought I would only use Tenkara for backpacking and use my regular equipment for fly-fishing day trips. But for some reason, I found myself fishing Tenkara all the time—not just for backpacking. It wasn’t a conscious decision. It just made sense. For the types of streams I fish here in Colorado, Tenkara is perfect. 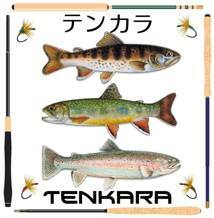 When you ask most people what attracts them to Tenkara, the stock answer seems to be that it’s simple. And I think this is true for me too but there’s more to it. What attracts me most is that it allows me to have a laser focus on my fishing. I don’t have to make false casts, change rigs, use terminal tackle, mend, or shoot out line only to have to strip it in again. I can make a cast, pick it up, and cast again. I can vary the presentation without having to re-rig and so my fly spends more time in the water. With Tenkara, I can fish without interruption or distraction and this makes me feel like I have a deeper connection to my fishing—like the gear is a natural extension of my body rather than it being a barrier between the fish and me. Adam: Interesting. Again we have a lot more in common than I imagined. I would like to talk a little bit about fly-fishing in the salt. I know it’s not Tenkara but it is fishing and I believe fishing in the sea is as about as exciting as fishing can get. Personally, I could not tell you how many miles I’ve walked Mexican beaches stalking fish with a sturdy fly rod. Many of those miles were completely alone with not one other person on the beach. I’ve walked at least a hundred miles (quick math check) and I can say that some of those adventures are part of my best fishing memories. I have a huge respect for the adventure of fishing in the sea. I’ve been hiked out nearly a half a mile in waist deep water and had a 40” lone barracuda stalking ME! The ocean is a gnarly place and it is peaceful and surreal at the same time. Surely you have had some great adventure in the sea. Jason Klass: Bonefishing in Mexico is relatively easy. It reminds me of lake fishing for trout. You park your panga in the flats and wait for a pod of fish to come along. Then, you time your cast and as long as you don’t spook them, you’re almost guaranteed a hookup. I mostly fished in Cozumel, which is pretty tame so I don’t have any “adventures” really to speak of there. But I do have one from Costa Rica. I was trying to find a guide to do some inshore fly-fishing but there wasn’t anything to speak of. There was only offshore billfishing (which doesn’t interest me at all). I found a small island at the mouth of a river that I thought would be perfect when the tide comes in so I hired a local fisherman to take me there. The deal was I would pay him $20 to drop me off on the island, and then $20 to come pick me up four hours later. As we approached, I could see that the island was nothing more than a spit of sand. No structures, no people, nothing except some short grasses and what looked like a bunch of washed up driftwood. It was evident that I would have this entire island all to myself and I was excited. Just a few minutes after he dropped me off, I was into a nice fish. I was side stepping along the shore to try to tire it out against the current when I noticed that I was approaching a large piece of driftwood out of the corner of my eye. I was too focused on the fish to pay it much attention and thought I would just step over it so I wouldn’t trip. When I got close enough, I finally turned my head to see how high I’d have to step when I realized it wasn’t a piece of driftwood at all. It was a crocodile! On the inside, I was terrified but I knew the best thing to do was to remain calm and slowly back away. Luckily, the crocodile didn’t seem to have much interest in me (he probably would have been more interested in my fish). Once I got to a safe distance, I landed the fish—about a 15 lb Jack. Now that the fight was over, I had time to assess my situation. I scanned the rest of the island and discovered that all of those pieces of “driftwood” I saw from the boat were more crocodiles—dozens of them. So here I was on a tiny island with no boat surrounded by crocodiles. And three and a half hours to go. It was about this time that I wondered if $20 was enough of an incentive for this guy to bother to come pick me up. I had an image of someone one day finding a pile of bones next to a very expensive 9 wt. “ I should have offered $40”, I thought. Obviously, I made it out alive. I kept my distance and so did the crocs. By the time my ride arrived, I had landed about ten nice Jacks and came away with a new found respect for these awesome reptiles. Adam: Yeah, cool story. I think we all have some neat stories and this is just one in the many that you have in your experience. What do you think of guiding people? Are there any memorable guiding experiences that you have had? Experiences and exchanges with the person you were guiding? Did you get some people into their largest fish? Have you guided some interesting people? Jason Klass: I have a love-hate relationship with guiding. On the one hand, it’s incredibly rewarding to see someone catch their first fish or first fish on a fly rod. I loved being instrumental in an experience that someone will remember for the rest of their lives. But on the other hand, there are a lot of jerks—people who don’t get it. I’ve had people flat out tell me that they’re not going to give me a tip because they didn’t catch anything. People that have never touched a fly rod in their lives and didn’t listen to any of my instructions or advice. Then I’ve had people who have never fly-fished and they caught tons of cutthroats on gorgeous water and they don’t appreciate it. I try to tell them that they should be proud that they caught so many beautiful fish their first time fly-fishing, but they still don’t appreciate it. They brush it off as if they had just caught a bluegill on a worm in a farm pond. Don’t get me wrong. Guiding can be very rewarding, but it’s 50-50. I can basically tell five minutes after meeting someone if it’s going to be a good trip or not. It’s all about attitude. Once you know that someone has a bad attitude, then dread sets in when you realize you’re stuck with them for the next six hours. Adam: Often in my life, I learn my life lessons from the everyday experiences. It’s not all about what happened “now” it is the reflection of what happened and what I knew then and how I reacted and what I know now. If you had anything that you could change about your experiences with Tenkara, can you tell us what you might have done or what you would like to have seen happen? 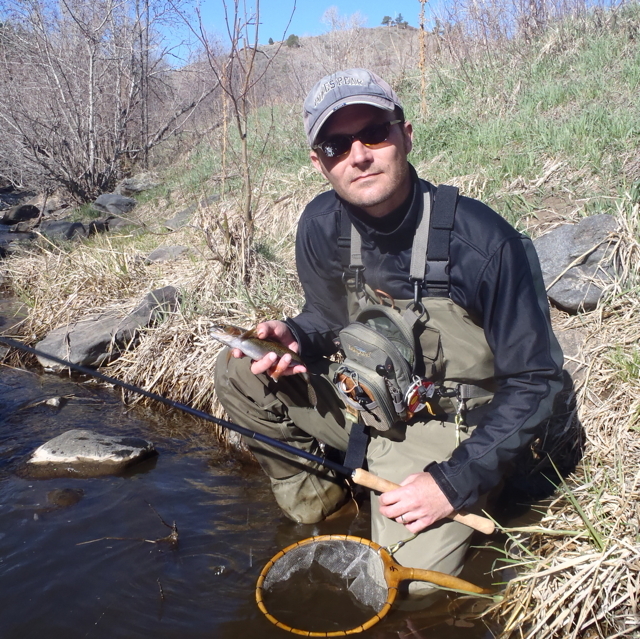 Jason Klass: I think I took a backwards approach to Tenkara. Early on, I tried to “innovate” it without understanding it first. Basically, I fished the same way I always did without bothering to learn the traditional methods. About a year ago, I decided to go back and try to only fish the traditional way. At fist, I didn’t have a lot of confidence in it because it was unfamiliar. But, I gradually got better at it and have only been fishing that way since. Now, I feel I’m in a much better position to see what can be innovated. I think it was somewhat arrogant of me to think that I could take a centuries-old tradition and improve upon it without actually trying it first. So If I could change one thing, it would be to start with traditional Tenkara first, then develop my own style (which is what I’m doing now). Adam: You live in Colorado and I think Colorado is a really interesting state. Everything is there, even surf (in the mountain snow), anything for an outdoor person is there. Jason Klass: I’m not really into the “rock & roll” sports like skiing or snowboarding. I prefer quieter, more solitary outdoor activities. 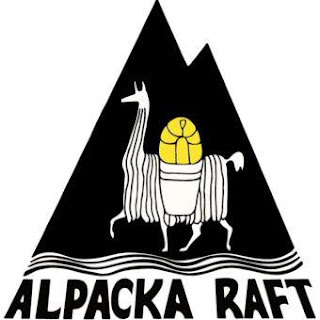 As I mentioned before, I used to do a lot of ultra light backpacking but have put that on hold until my daughter is old enough to come along. I’m really looking forward to teaching her how to set up a tent, make a fire, etc. Other than that, I do a lot of hiking and in the winter, the streams and lakes I fish in the summer become my snowshoe trails. Adam: From your “About Me” page, I see that you attended graduate school. What did you study and are you practicing that in your professional life? Jason Klass: Ha, my professional life probably couldn’t be more disparate from what I studied. I have a B.A. in philosophy and somewhere along the line; I became interested in eastern religions. So I went to Thailand for six months and stayed in monasteries to practice Theravadan Buddhism. After I graduated, I decided to go for a master’s degree in Buddhism and the Sanskrit language. All of which didn’t prepare me at all for what I do today: Internet marketing. In fact, I used to have a distinct disdain for marketers. In Buddhism, you seek truth. In marketing, you tell lies (well, that’s what I thought at the time anyway). But at some point, the reality set in that I couldn’t make a living meditating all the time and translating ancient Hindu texts. I have always loved technology and when web 2.0 emerged, I was fascinated by how technology could be leveraged to form communities, network, and knock down boundaries. It turned out that I was pretty good at it and that became my career path. Now, I see marketing in an entirely new light. It’s not about lying. It’s about engaging people, telling stories, solving problems, and being genuine. I’m also very humbled by how powerful it is. In fact, I think marketing is probably the most powerful force on Earth. It has been used to start wars, wipe out entire races, take over nations, and destroy vast areas of our planet. Yet it has also been used to feed the hungry, start revolutions, overthrow dictators, and save millions of lives. Like any great power, marketing can be just as dangerous as beneficial and so I have great respect for it. Adam: In one of my jobs, I helped develop a Master’s program in Cardiovascular Sciences at a prominent University that has a campus in Arizona. The program became successful and we graduated many students that went on to become mentors and teachers of their profession. My experiences were life changing when I worked at the University yet I tired quickly of “Academia” and the red tape that went along with a college within a university. I’m more of a practical and pragmatic person although the history and theory of a subject are very important. At this point in Tenkara, particularly in the United States, I believe that we are formulizing our look at it. I see that there are a couple of schools of thought. One is that Tenkara is a traditional Japanese form of fly-fishing. 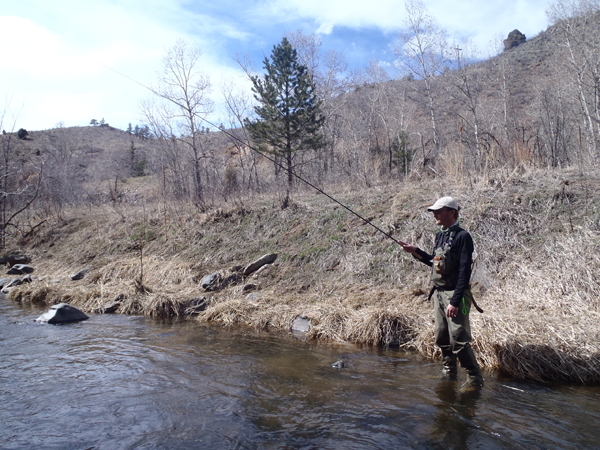 The other is that Tenkara is fun and that you can use a Tenkara rod in other waters for other species. Personally, I prefer that Tenkara and its name be kept to traditional Japanese fly-fishing. Even though I am a representative of a Japanese Rod Shop, I think we (as a community) owe it to the new people we are bringing to the discipline, an organized view. I think we owe it to the people that helped us get to where we are today, we owe them our honor of Tenkara being from Japan and not “Americanizing” it by using the name to describe some other type of fishing. That’s the way I see it, it does not mean that I want you to see it my way. We can practice Tenkara as we see it but if we call it Tenkara, we should be fishing in the mountain stream. Jason, with all due respect, what are your views on Tenkara fishing in other non-traditional disciplines? Jason Klass: Like I said above, I am guilty of “Americanizing” Tenkara before I really knew what it was and that’s why currently, I’m fishing the more traditional way. Since Tenkara is still relatively new to the U.S., it’s still going through some growing pains but I think it will essentially get sorted out. It’s natural for any new concept introduced to a culture to be adapted in some way but for the most part, I agree with you. There is room for innovation and experimentation in Tenkara but some people want to take it so far that it becomes unrecognizable. In those cases, I would love to see different names be used—if for nothing else than clarity. For a long time, I got caught up in all the semantic arguments in social media about Tenkara. But I’ve recently decided to give up on it. It’s pointless and just makes everyone look silly. I expended way too much energy arguing over semantics and have decided to just fish my way and not care what other people do. I realize that this will allow a lot of misconceptions about Tenkara to develop but you can’t really stop it. At the end of the day, people will just fish the way they want to fish and call it whatever they want. I have my own style that I feel is faithful to Tenkara and if people are interested in that, then that is what they will get on my blog. If they want to learn about other interpretations of Tenkara, then there is no shortage of places on the Internet to see that. Adam: I don’t think I am right and you are wrong. I do think we all probably have similar life experiences when it comes to fishing because fishing in the mountains contains elements that we experience in nearly the same way. The fact that mountain fishing by design is not easy, we often find ourselves alone after quite an exertion in a quiet, tranquil and peaceful surrounding. I think it is in those surroundings that we find out who we are and what we want to do. “If you don’t mind, can you tell us about your fishing? Do you prefer fishing by yourself or with others? Jason Klass: In general, I like to fish longer rods (usually 13 ft.). For line, I like #3-#4 level fluorocarbon lines that are longer than the rod. One narrative of Tenkara is that the line is equal to the length of the rod but this isn’t exactly true. Many anglers in Japan fish lines that are much longer or much shorter than the length of the rod depending on the conditions. If I can get away with it, I like a 20 ft. line with about 3-4 ft. of 5X tippet (I only use 5X). But I will go with a shorter line when the situation calls for it. 99% of the time, my fly is a sakasa kebari but I will tie on a Utah Killer Bug from time to time. One thing that I think people notice about my style is that I move a lot. I literally make a few casts to a spot and if I don’t get anything, I move on. I see lots of people fishing the same spot for half an hour without catching anything. To me, this is a waste of time. By then, I’ve covered a lot more water and have probably caught more fish. I believe that some fish are more receptive than others and that it’s more productive to find those fish rather than pound the stubborn ones to death. When Brian Flemming was filming me for the upcoming Tenkara documentary, he commented that he had a hard time keeping up with be because as soon as he got the camera set up, I was gone. He said the only other person he’s seen that moves so much is Dr. Ishigaki. I didn’t realize it at the time but later I learned that Dr. Ishigaki has the same philosophy about moving more to find the more cooperative fish. As for fishing alone or with others, I am always alone when I go fishing. Even if I go with someone, we pretty much go our separate ways to find some solitude. We might meet up here and there on the stream but apart from the car ride to the stream, fishing is not a social event for me. And I have gravitated toward fishing partners who feel the same way. Most of the time, I fish the same streams due to time restraints. I have very limited time to fish and when I can get out, I’d rather spend more time fishing than driving so that means fishing the streams that are close to my house. But when time permits, I love exploring new water. In some sense, I feel like I actually catch more fish on new streams than on my local ones. Maybe it’s because I see it as more of a challenge and try harder. Adam: Here in Arizona, small streams are small, less than a few feet across. The mention of one of them online can trash the stream horribly and decimate the stream of its larger trout. I’ve have rarely used fishing reports, to me, fishing is about my skill level and not so much about where others are fishing. When I first read about the “Tenkara one fly” practice, I could not believe it. How in the world is one fly going to match all those hatches, it has taken years for me to understand the five different flys to use in all of the areas that I fish. *How in the world am I going to do it with only one and in Arizona for goodness sake? This is not Japan! I went on to do it, not much faith in it but I chose a kebari and stuck with it, for a year and whoa, it worked better, the more I learned how to use my rod. Jason, we are fly anglers, you probably have had some aha moments yourself. Jason Klass: The number one thing I have learned is that skill matters more than gear. I felt the same way as you did at first. Remember what I said before about the power of marketing? The fly-fishing industry has done an amazing job at brainwashing people into thinking that the more gear they have, the more fish they will catch. Millions of dollars have been spent on unnecessary gear. And I suspect that many people subconsciously believe that gear = skill. I used to work in a fly shop and was always amazed at how many beginners would spend $1,000 on a fancy rod and reel but couldn’t be convinced to take a $75 casting lesson to learn how to use it. And when you see them on the stream, their casting is terrible and they’re not catching any fish. The thing is, fly fishing marketers don’t care if you catch fish. They only care if you buy their gear. This is because you can’t sell skill. Without the luxury of all the gadgets, I think Tenkara proves that skill is what really counts. 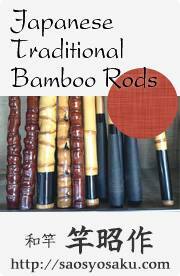 You can hand someone the latest high tech fly rod and if they don’t know what to do with it, they won’t be successful. But hand a skilled angler a stick and a string, and they will catch fish. I try to learn a little something each time I go fishing. It is amazing, how with a Tenkara rod, just how much you can learn about fishing while using one. I became stale with a conventional fly rod, I could shoot the fly far, close or lightly but the fly was dead in comparison to a Tenkara rod. Only when I practiced dapping with a Western fly rod, only then would I giggle to myself or laugh out loud when I caught huge trout literally at the end of my fly rod. With a Tenkara rod, you practice it constantly, always there working the fly or presenting it knowing that you are giving the fly life with its placement or movement. Masami Tenkarano-oni Sakakibara calls it, “Sasoi” action, Yoshikazu Fujioka writes about “Sutebari” or showing the fly, both are techniques of presenting and manipulating the fly. Jason Klass: As far as presentation, my favorite is to twitch the fly. I usually make a downstream cast and slowly pulse the fly as it drifts downstream. This causes the hackle to open and close and makes the fly look alive. I like the hard strikes that this presentation provokes. I also make this presentation up and side stream. I start out with that presentation first and if it doesn’t produce, I will also dead drift the fly or fish it at different depths in the water column. For example, if fish are rising, I will make a few false casts to dry off the fly and fish it in the surface film like an emerger. Adam: I want to again thank you for the opportunity to share some of your thoughts here at Tenkara-Fisher. It is a pleasure spending a little time thinking about how our exchange would go; I’m pleased with the results. Jason Klass: Thanks Adam! This is probably more than anyone would ever want to know about me but it was fun doing it. Tight lines. *http://web.archive.org/web/20000301205417/http://www.smallstreams.com/Flybox.html I wrote about “one fly” in fly-fishing back in February of 1999. I wrote about it earlier but this is the first reference that I could find of it.